Do you have a relatively large number of email subscribers but not sure how to clean up your email marketing list? Cold subscribers can negatively affect your email campaigns and also your wallet. We recently handed the FinCon email list over to an email nerd and it is really starting to pay off. When PT hired Pete to “fix the email list”, the main problem, according to Pete, was a complete lack of organization. As soon as you start a blog or any kind of online business, you are bombarded with advice to start an email list. The problem is that nobody tells you what to do with that list once you have one. Your email list can be your number one source of traffic and income, but only if you know how to use it. The trick is to have some sort of system in place to organize the processes and the workflows. That means that you need to know what you are trying to organize exactly. What systems are you even talking about? What do you mean by workflows? For the FINCON list, we wanted to turn cold customers into warm customers and eventually, into FINCON attendees. So that was the mission that was presented to Pete when he was hired; tell us what we don’t know and how to make it all work. Give us systems that make our email list make sense and that serve those on the list. I asked Pete to walk us through the steps he took to get the FINCON email system in place. How and why would you break up with your email subscribers? Simple. You are paying for every person on your list and if they’ve gone cold, why would you continue to pay for them? If a person hasn’t opened one of your emails in 30, 60, or 90 days, guess what? They don’t want to hear what you have to say anymore and maybe they never did. So stop paying to email them. Secondly, the lower your open rates, the more that Gmail and email service providers send your emails to spam. They track your open and click-through rates through some kind of secret algorithm and they literally penalize you when your subscribers don’t open your emails. They do this because if your people aren’t opening your emails, your email service provider assumes that your emails aren’t helpful or valuable to your subscribers. One thing you can try is sending your cold subscribers a break-up email that gives them the opportunity to unsubscribe from your list or stay on your list through a simple click. Another thing you can try, that Rosemarie Groner has had great success with, is to target those cold subscribers and try to warm them back up. She described in episode 50 how she warms those subscribers back up and how she makes income off of them. It’s worth a shot. Once you have dealt with your cold subscribers, either by breaking up with them or by getting them in their own group to try to warm them up again, it’s time to segment the subscribers you have left. For the FINCON email list specifically, we segmented first by brand and non-brand. 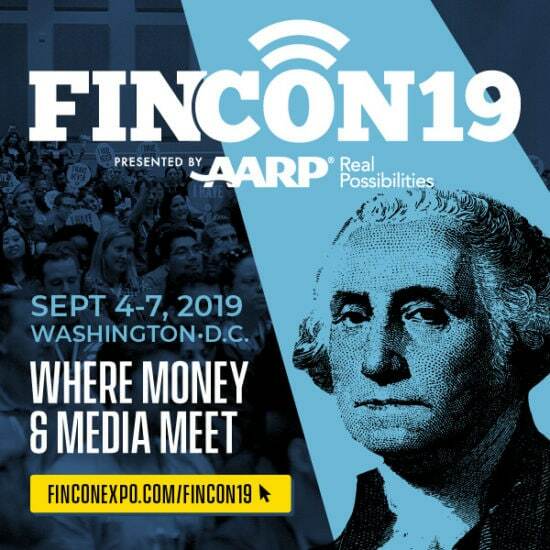 We have a ton of brands on our email list: Fintech companies, financial companies, or media companies that want to sell their service or product at FINCON. We also segment the media group into podcasters, YouTubers, bloggers, etc. The reason behind this segmenting is to keep everybody happy. Your bloggers don’t want to receive the same emails that a huge financial company receives. It’s important to send the right emails to the right people if you don’t want them to become cold subscribers. One way to be sure that your subscribers are receiving the emails they prefer to receive is to ask them. Decide on 3-4 different tags for the emails you send, things like SEO, blogging, video, and podcasting. Choose tags that apply to the types of things you talk about and might email about. Then email your audience and give them the option to choose which of those topics they want to receive emails about. If you are a new blogger, you may not be ready to hear about funnels and if you are a seasoned blogger, you could likely school us on your elaborate funnel systems and the income they bring in for you. For FINCON, we are trying to help our email audience get to know PT and the team better by telling our stories. Our subscribers are hearing about why PT started FINCON and how it works. We are sharing the best of FINCON in the emails so that the newer people can go back and get things they may have missed. This process has 2 goals: to make our subscribers fans of the FINCON brand and to get them to the conference. Before you can have a successful sales funnel, you absolutely have to earn the respect of your audience. If they don’t know you, like you, or trust you, you can forget trying to sell them anything. Pete isn’t just an email expert; he is also a blogger and a podcaster with a successful weekly show. I jokingly called Pete a nerd at the beginning of this episode but Pete says it actually isn’t a joke at all. He gladly claims the title of nerd, especially when it comes to blogging. He talks to bloggers on his podcast, which I’ll bet you could guess by the title. Pete loves talking to bloggers. It’s not just the technical stuff he enjoys, although he does enjoy that plenty. He just genuinely enjoys hearing people’s stories of how they got into blogging and what they’ve learned. Pete does mention as an aside that he thoroughly appreciates the fact that by having bloggers on his podcast, he is able to get what basically amounts to free consulting. You ask a question and you get an answer. It’s a great gig. His blog is pretty much second on the list of priorities now simply because of the time the podcast takes. Pete actually recommends podcasting to people over traditional blogging. Why? Because if you are even halfway good at it, it is so much faster than writing. He does enjoy and excel at long-form content on the blog and he is currently working on the topic of SEO for bloggers so be sure to check out some of the content over at his blog. Hear from over 200 speakers, like Pete McPherson, at FinCon18 September 26-29 in Orlando, Florida. Register for your pass today!